Last night was our festive Cinco de Mayo (not to be confused with Mexican Independence Day!) We decided to go someplace familiar to us and made the journey to On The Border. There is one OTB, and it is North of Cambridge, so Kristin rode the Red Line up to see me after work. We binged on three baskets of chips, two bowls of queso, a combination platter, Margaritas, and of course the obligatory K-pie. The waiter looked at us when we asked for the pie as a “K” pie. When he brought it back to us he asked if we used to work there or something. We told him thats what we called it in Atlanta. I have injured myself with the limited amount of running I have been doing. Having shin splints is a definite game over for runners. I decided to take a gamble and get some new shoes, thinking maybe my old ones just don’t offer any impact support. The office had a challenge going on Nike+ to see who could run the most miles in a month. The contest is pretty much over with some folks pushing well past 50 miles. I am sitting under 5 right now – 3 of which was a single run before the injury. I’ll just pay my $20 to the winner, and cry myself to sleep. The past weekend the wife got off work early and we ventured out to South Shore Plaza. I am not a mall person, but wow. 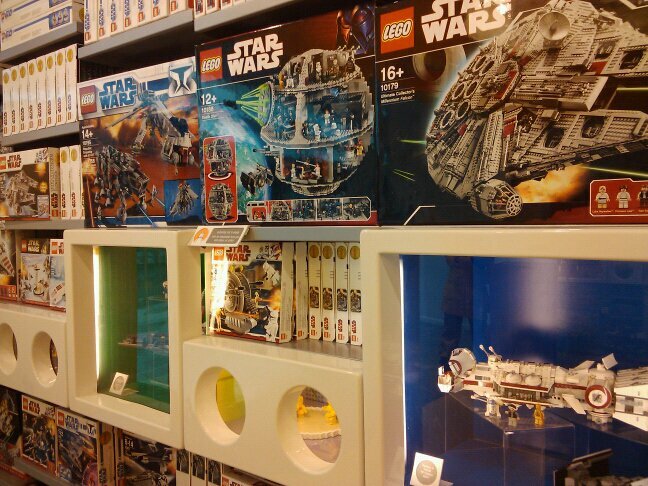 THEY HAVE A LEGO STORE! Our kid is going to love LEGOs, and I am going to relive my childhood through their collection. They also have a Teavana, and an Apple Store. The mall is so big in fact, that Kristin got lost inside. You pick a landmark like say, Forever 21, and as you walk around the mall you realize the stores have multiple locations. Accident Update: Progressive (the other guy’s insurance company) has determined that I am at fault! My God, who saw that coming? So now, State Farm has stepped up to the plate for the first time this entire ball game, and may try to swing at the ball. It shouldn’t be, but it feels good to see my insurance company break a sweat. In work related news, things are getting better every day. Writing code is like riding a bike. I was afraid for a while that since I was a system administrator for so long that I would have lost the ability to program, and think in that type of mindset. The boss is making it rain at the office since the move. He bought a license for RubyMine for my use, and for the rest of the office to evaluate. My computer has ben upgraded to 4 GB of RAM, and my second monitor has just arrived. Also, we are getting new chairs. Not to mention the game room with the 65″ Sharp Aquos LCD and Playstation 3! And there is talks of a pool table. I think I’ll stick around for a while. Next postHave You Had Your Daily Dose of Editors? I’ve been pretty lazy about going to the gym myself. I really need to get back at it. Oh, and you realize you made special note of the Apple store right?